Welcome to the Gates Store at PTplace.com! 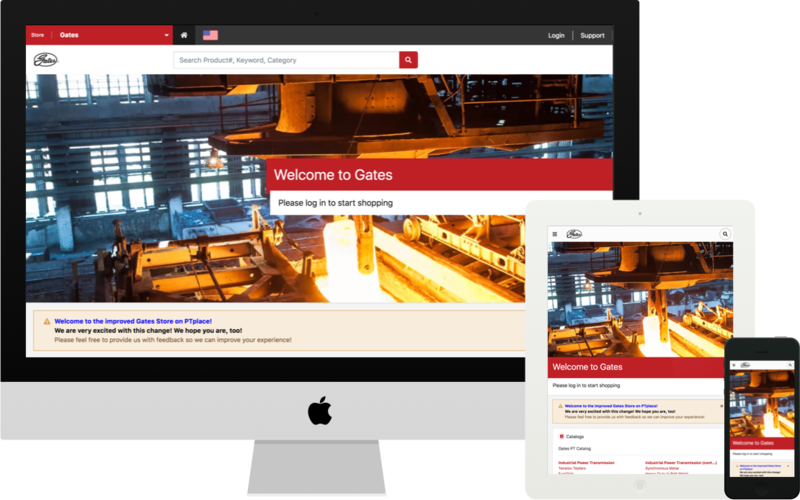 If you are a Gates PT distributor interested in ordering through PTPLACE, complete a registration form to begin the authorization process. A phased rollout of Gates products available through the CoLinx U.S. warehouses and logistics services is scheduled to begin in 2007. We've been hard at work over at the new PTplace and are wondering why you haven't joined us. The new Gates Store is here! The new Gates Store is live and be enabled automatically in October. Turn it on early so you can get used to it before the old site is gone forever. Yes, proceed to the new Gates Store!